The building of the castle took place in several stages. The walls of the castle and the first two floors of the building were built at the end of the 14th century. 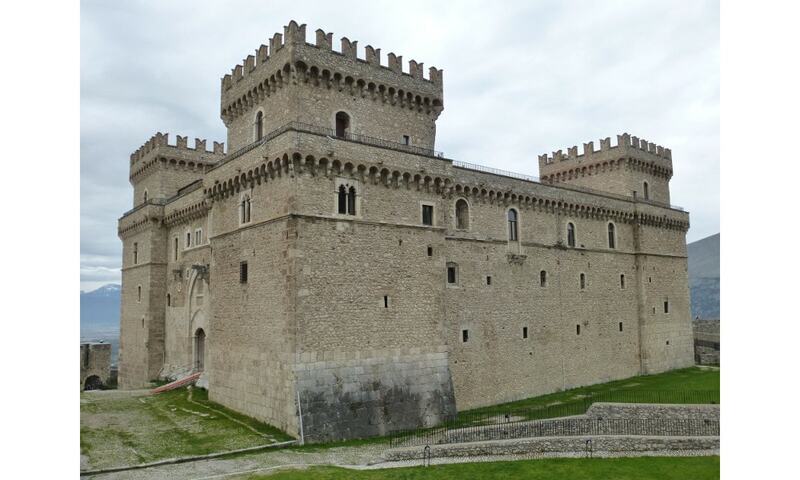 In 1451, the main floor and the four towers at the corners were built; in 1463 Antonio Todeschini Piccolomini completed the building as seen today. The building is protected by irregular walls with several towers, part of them with a squared plan, and other ones trunk-conical shaped. Now the castle is used as offices for the Ministry of Cultural Heritage and Activities, in addition to a museum of sacred arts.